194 pages | 85 B/W Illus. India’s sustained and rapid economic growth offers an opportunity to lift millions out of poverty. But this may come at a steep cost to its environment and natural resources. 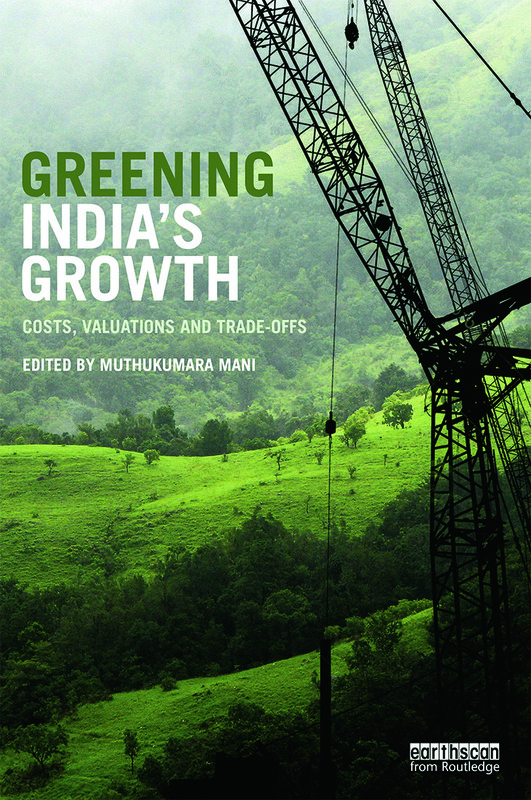 This insightful book analyses India’s growth from an economic perspective and assesses whether India can grow in a "green" and sustainable manner. Three key issues are addressed. The first is the physical and monetary costs and losses of environmental health and natural resources driven by economic growth. The authors undertake a monetary valuation and quantification of environmental damage, using techniques that have been developed to better understand and quantify preferences and values of individuals and communities in the context of environmental quality, conservation of natural resources, and environmental health risks. The second part estimates the value of ecosystem services from the major biomes in India using state-of-the art methods with a view to preserving them for the future. The third section provides a menu of policy instruments to explore trade-offs between economic growth and environmental sustainability using a Computable General Equilibrium approach with particular attention to air pollution. The conclusions focus on the way forward in terms of policies, measures and instruments as India has to balance the twin challenges of maintaining economic prosperity while managing its environmental resources. "Greening India's Growth is timely, very relevant and provides a framework for a pattern of development that is designed to bring about economic development in a manner that imposes the least impact on the environment, as well as on resource intensity, and therefore embodies fully the principle of sustainability. I welcome the book’s contribution to the debate between economic growth and environmental sustainability in the Indian context. It rightly argues that the way to resolve the conflict between environment and development is to make the tradeoffs explicit. By putting numbers to the environmental costs of our growth process, the book highlights why, 'Grow now, clean up later' is no longer an option for India. Such analysis must be mainstreamed into our policies and plans. 4. What are the Trade-offs? Muthukumara Mani is Senior Environmental Economist, Disaster Risk and Climate Change Unit, South Asia Sustainable Development Department, World Bank, Washington DC, USA.